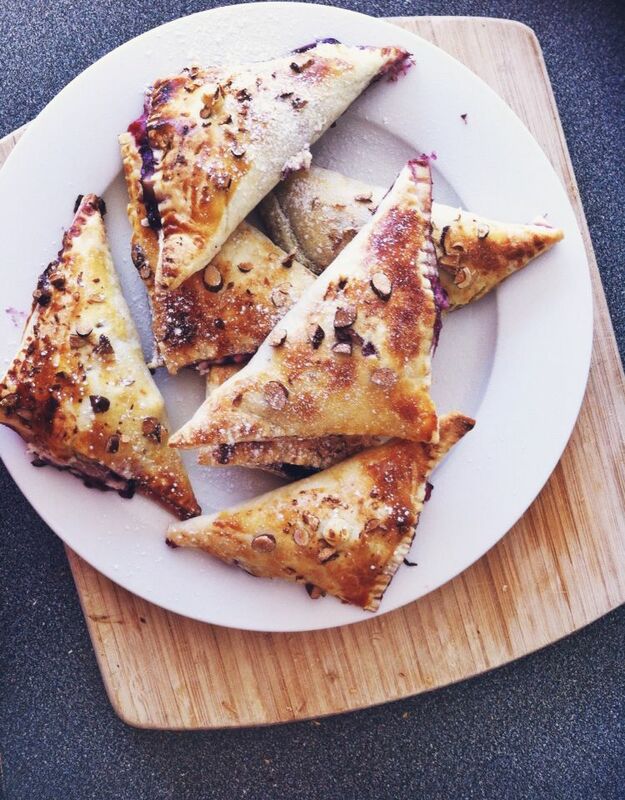 Manuka, herb, berry, pear + ricotta turnovers. 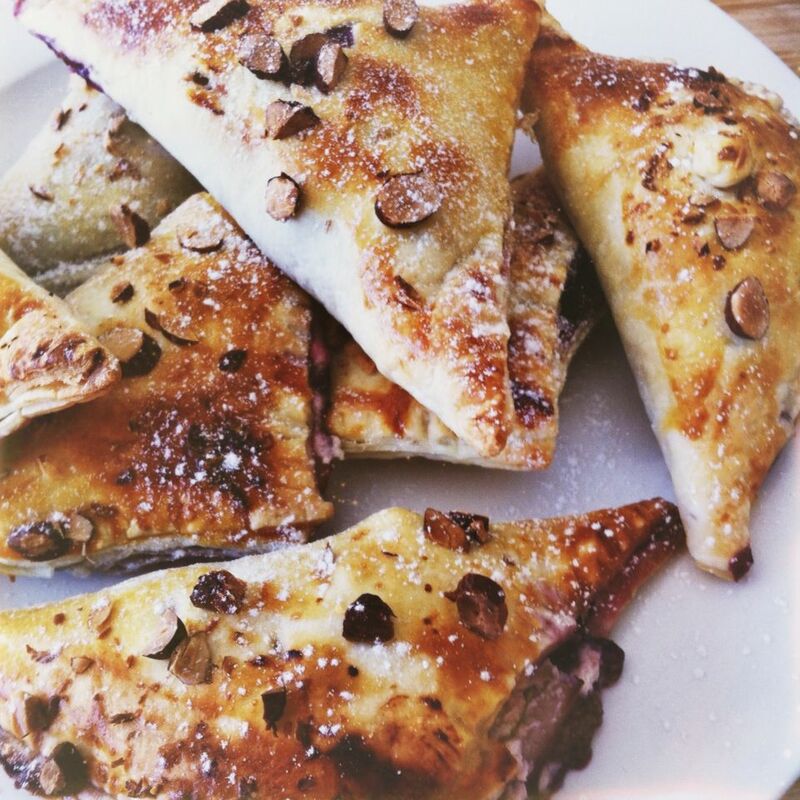 I got this idea from localmilkblog‘s Lavender, Blueberry & Ricotta Turnover recipe. These are (relatively) easy to make (and SO good). Heat oven to 375F or 180 degrees celsius. In a small pot, combine 1/2 cup berries with sugar (I used frozen mixed berries! You can use blueberries, raspberries, strawberries, any berries, any fruit! Be creative!). Heat over medium heat + roughly smash your berries into the sugar with a fork. In small bowl, combine lemon juice + cornstarch til’ it’s completely dissolved. Stir into your pot with your berry mixture. Cook til’ bubbly + thick. Remove from the heat, stir in rest of your berries, 1/2 chopped herb, and chopped pear. Remember these pies are relatively small, so your pear pieces need to be small enough to fit – ie. cut them preeeetty small. Transfer this mixture into a heat proof bowl & chill til’ it’s not warm any more. In another bowl, combine ricotta with manuka honey and rest of herbs. Chill this also, while you prepare your pastry. Cut your pastry into 8 5×5″ squares. Place these onto a non-stick baking sheet. Once everything is chilled, assemble pastries. Fill with 1tbsp of berry mixture and top that with slightly less than 1tbsp of ricotta. Be careful not to overfill with ricotta, because it expands in the oven and you may end up with a mess. Do this process slowly and mindfully. 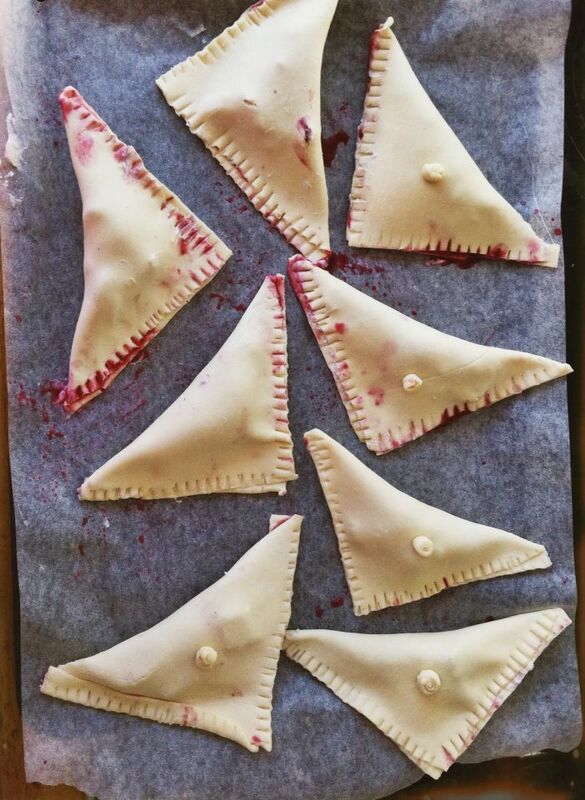 Brush the edges of the pastry with water and fold to form a triangle. Press to seal with your fingers, then use the prongs of a fork to seal completely. Any leftover pastry – just plop this on top of the pies in little funky designs. Chill your turnovers for another ten minutes, then proceed. Cut 3 relatively small (not too small, but not too big) vents into the top of each pie with a sharp knife. Brush with egg, sprinkle with almonds, and then sprinkle with raw sugar (if using). Bake for 20-25 mins til they’re golden brown. Cool on rack, dust with icing sugar, and serve warm. Chicken burgers: fresh floury baps + spicy date sauce.